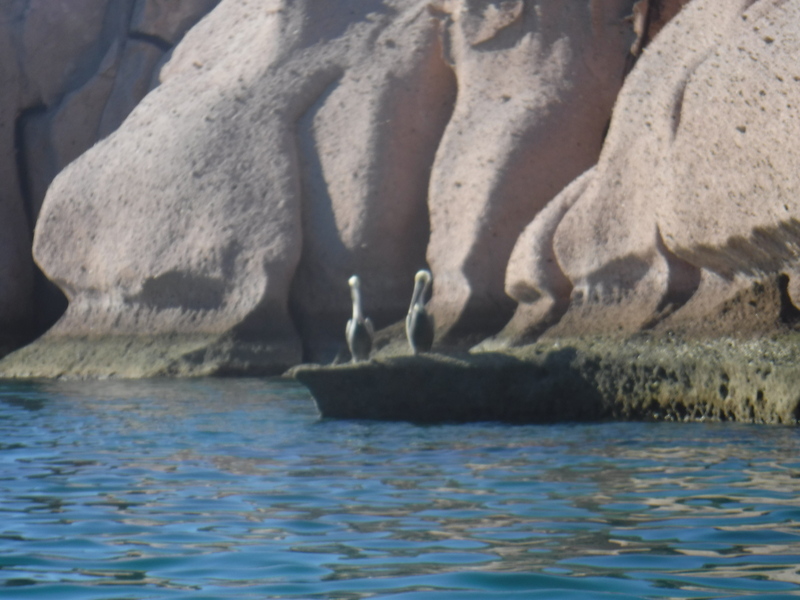 We left La Paz for Ensenada Grande this morning, a mere 27 nautical miles north. My Boat and Peter’s SUP are lashed to the lifelines, but, for a short trip, with little wind, the dinghy can remain inflated, aloft upon its davits. The wind was very light. 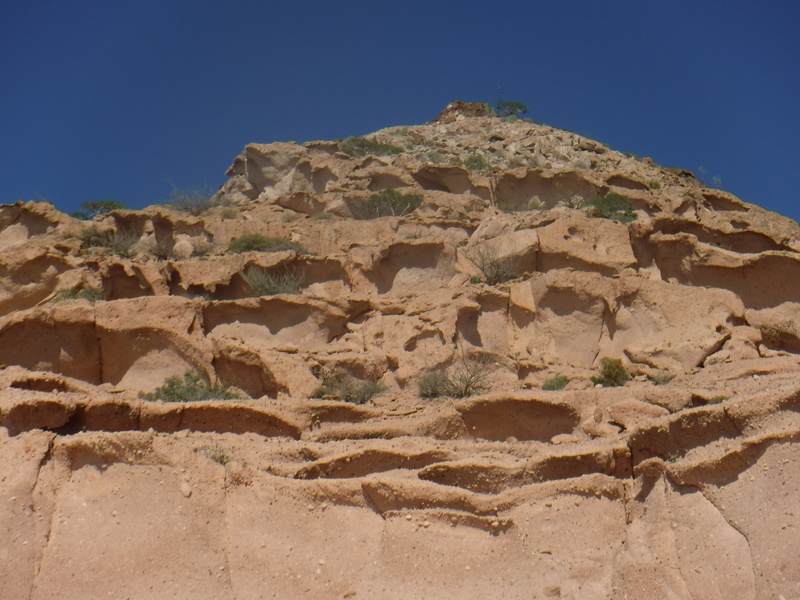 We motored under clear blue skies, making water and charging our battery bank as we go. 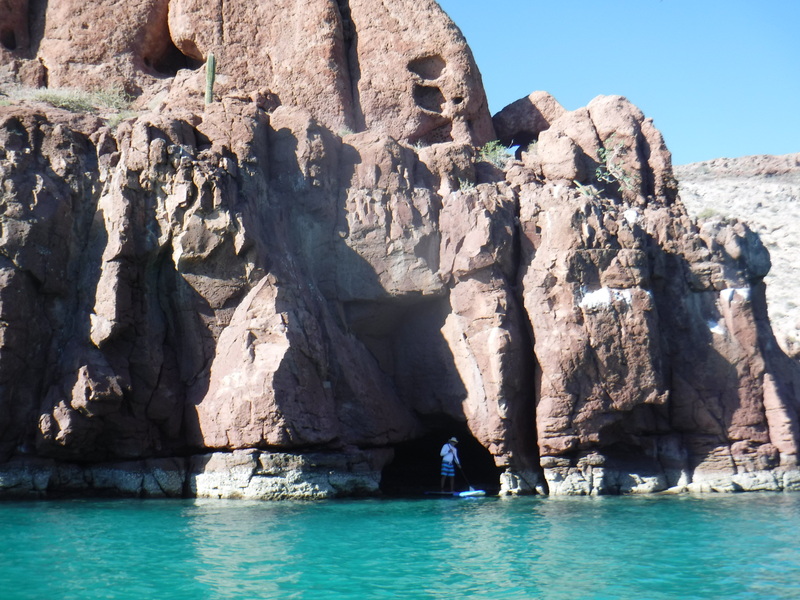 Ensenada Grande is a three-lobed bay protected by Punta Tintorera on the north and Punta Tijeratas to the south. 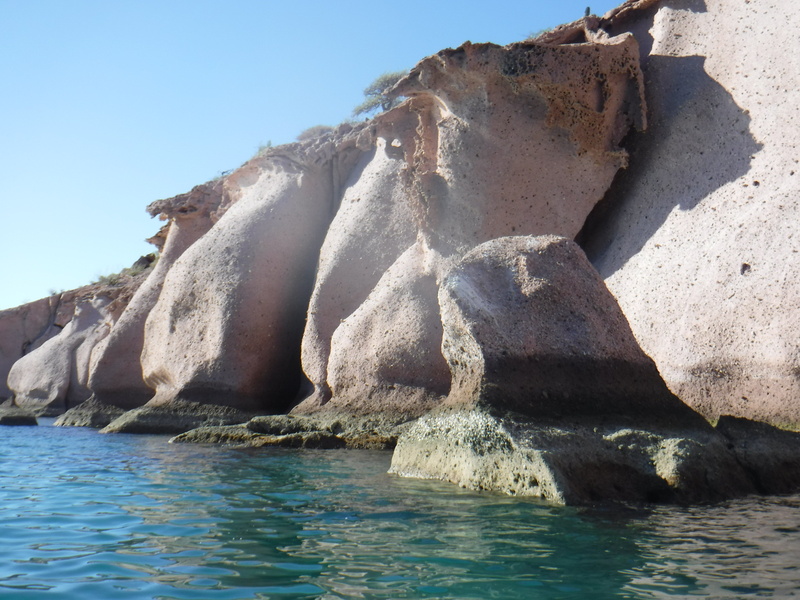 It took approximately five hours from the time we raised anchor outside Marina de La Paz to the time the anchor was firmly set within the southernmost lobe of the cove. This inlet provides the best protection from north wind and a long, spectacular hike to the mountain’s ridge as a bonus. Peter had our toys in the water within 15 minutes of our arrival. I immediately slathered myself with SPF 50 and jumped into My Boat to explore the area. Surprisingly, we are the only ones here. Together we pedal/paddled around. We noticed a sailboat anchored in the adjacent lobe. We worked our way over to say hello. 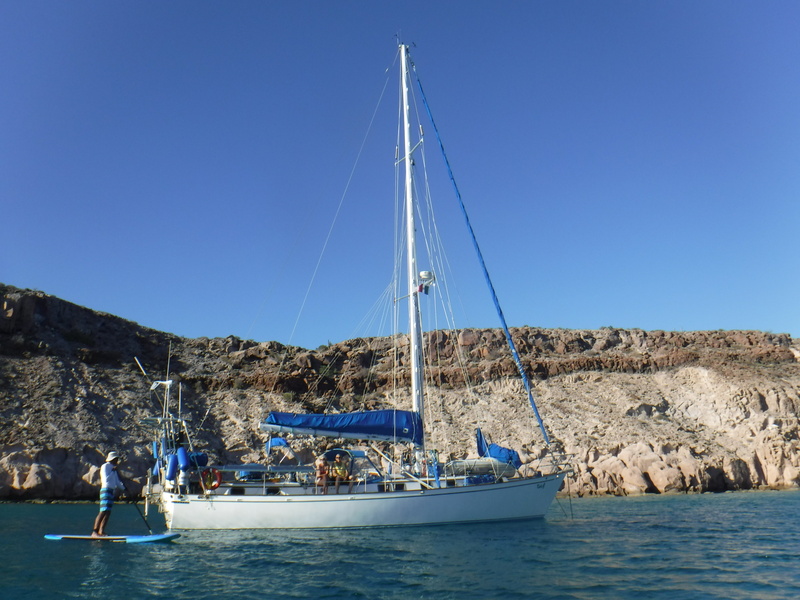 Karen and Chuck aboard S/V Katie G., from Banff, Canada, are here for just one more night before returning to La Paz to have work done on their water maker. As I began to prepare dinner, I noticed the chicken I had pulled from the freezer didn’t smell so good. We fed it to the fish and ate clam chowder. Now, we are completely dependent on Peter to catch fish if we are to have anything to eat. After dinner, we turned off all the lights inside and outside the boat and sat on the cabin top to count the stars. I like to have a wish on the tip of my tongue, ready, if I see a falling star. Don’t you?